Best e-commerce platforms of 2019. If you are in the process of trying to move your business online, you undoubtedly come across the seemingly thousands of platforms that allow you to build your online store. We deal with over 4000 online stores daily and have talked to a few to pick their brains and see which platforms are more popular what they would recommend. We narrowed it down to the two most popular e-commerce platforms and decided to look a little closer at our top two and see how they compare so you can choose if one of these two could work for you. Let’s have a look. Shopify is one of the most popular e-commerce platforms in the world. 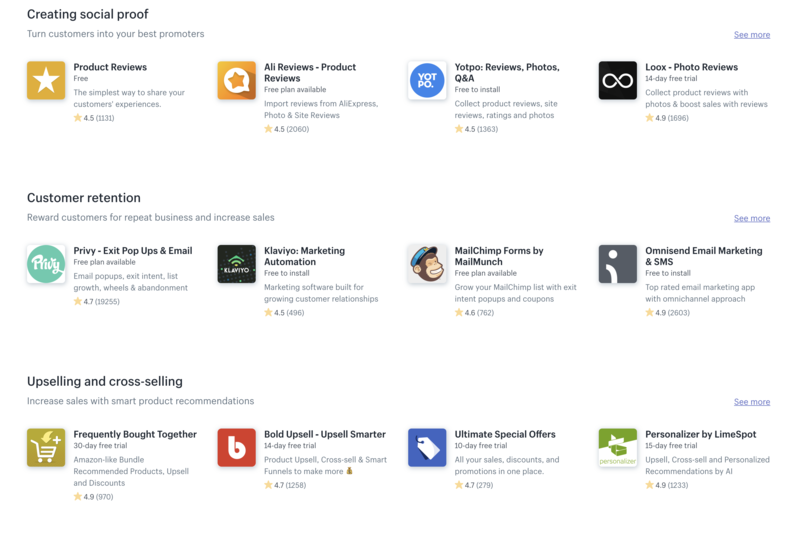 Shopify indeed covers all grounds with beautiful templates, Amazon, eBay, Instagram and Facebook integration, advanced analytics, big app store and a great inventory management system. Shopify has no specific target group. Huge brands like (Harry razors) make use of Shopify and are only going from strength to strength. Shopify if however very popular with small-medium business because of their relatively low price entry point and the fact that you don’t need any programming skills to start. The great thing is that Shopify allows you to grow and will grow with you. Shopify has an intuitive backend that would take only a few hours to get completely to grips with making it more appealing to the not so tech savvy. Shopify starts from 29$ per month for Shopify basic, 79$ for Shopify standard and 299$ for Shopify advanced. These prices aren’t your final monthly costs as you would have to calculate your additional plugin costs and online transaction fees. When it comes to receiving payments, Shopify includes all major payment gateways like Paypal, Amazon Pay, Google Pay and Amazon pay with 3D secure payments. The payment currency and exchange rates can also change dynamically depending on the location of the customer. 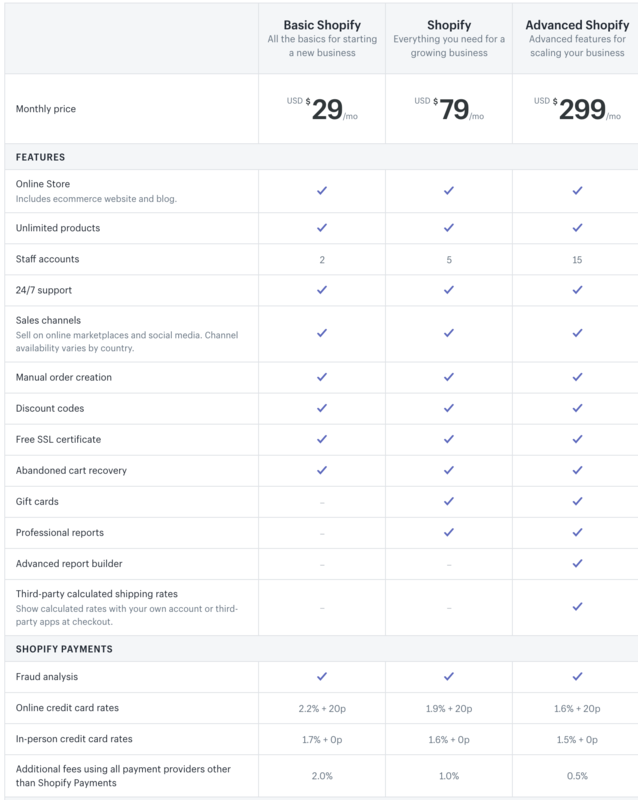 It’s also important to know that Shopify asks a transaction fee for each transaction being processed through Shopify, and this amount ranges from 2,00% – 0,50% depending on your pricing plan. Shopify offers 10 free themes and more than 50 ranging from $140 to $180 per theme all of which are responsive which means they will adapt and look good on mobile devices. Responsiveness is critical because most users now shop on their mobile devices. 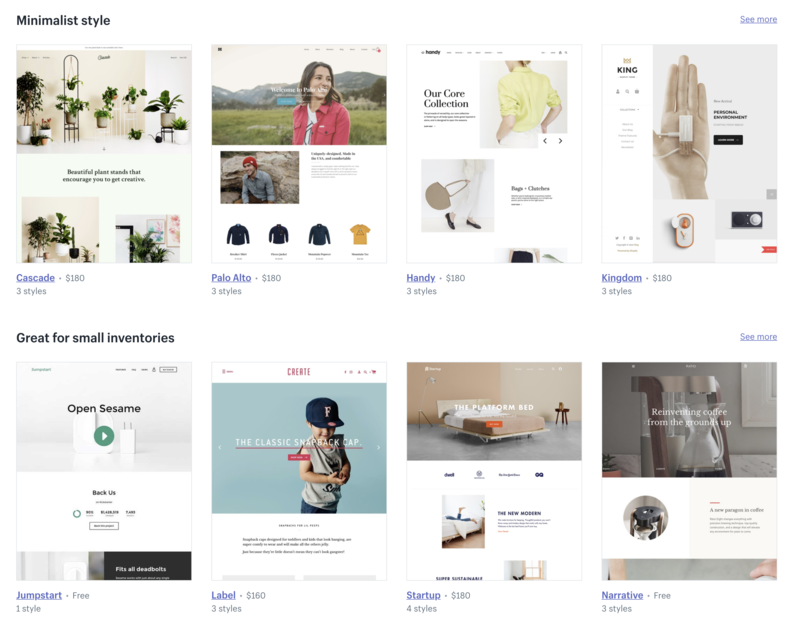 Shopify also keeps their themes up to date with the latest design trends and have external designers designing their themes ensuring you get a range of different styles to choose from. Before deciding on a theme, be clear in which features you need, and this will guide your initial decision. We also recommend looking past the Free themes and consider investing a little in a paid theme. The paid themes usually have better dynamic layouts and could give you everything you need for a relatively small investment. Customising these themes are also made accessible through the intuitive editing interface. Shopify combined simplicity and functionality into their building interface and shouldn’t take you long before you are customising your theme to your heart’s content. You could in theory set up a store within a few hours with prompts guiding you along the way. Shopify offers free online training through Shopify.com/academy with on-demand training by industry professionals. With this free training will teach you about Shopify tools and even give some business insight that could help your business. There are also loads of youtube channels dedicated to assisting Shopify owners. Not to mention the forums and facebook groups. Shopify has one of the most active communities regarding almost any questions and offers loads of tips and trick. Shopify offers comprehensive sales features to help assist your business growth. The abandoned cart recovery automatically sends an email to your website visitors when they leave without checking out — making sure that you don’t lose a potential sale. There are also more than 2500 apps ranging from advanced analytic data to email opt-in forms. Sales tools that aren’t built into the theme will be available through a plugin. Another sales tool we’ll mention is the ability to connect your store to marketplaces like Amazon and eBay or even Facebook and Instagram. This feature allows you to be visible on all major marketplaces with minimal effort. Selling on marketplaces like Amazon and eBay could give you a competitive edge and should not be overlooked. Woocommerce is a WordPress plugin that accounts for a staggering 30% of all e-commerce sites on the web. Woocommerce is also free, but you have to own a WordPress site, and any additional extensions are not free. Woocommerce is for anybody that would like to have full control over their website design. Woocommerce requires you to have a little more tech know how, but still, you wouldn’t have to be a programmer. 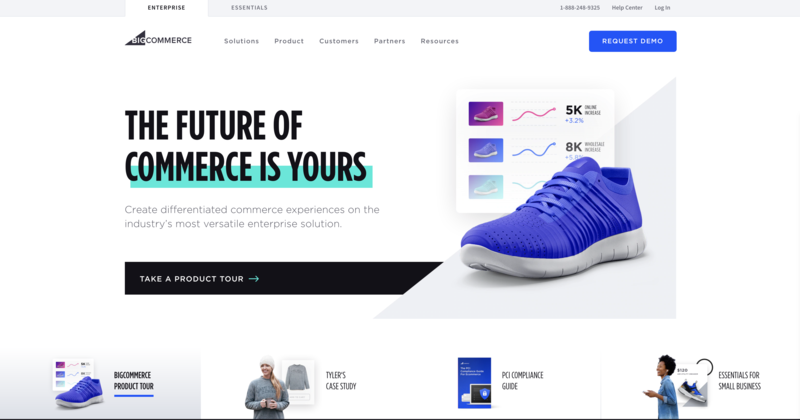 Because of all of this creative freedom having some design knowledge will be beneficial, or you should get a theme that is designed with Woocommerce in mind. WordPress allows you to create any site imaginable, as long as you can implement these ideas. When it comes to pricing, Woocommerce is a little complicated. The plugin is free but to use it you need to have run it on a WordPress site that must be hosted by a hosting service. Also, all extensions will cost you extra per month. So where with other platforms that offer (for the most part) a turnkey solution, Woocommerce isn’t that straight, unfortunately, but anybody that has used WordPress would know the drill. Woocommerce design is dependent on your current WordPress theme. There are themes designed with Woocommerce in mind that will integrate well with the plugin. If you know WordPress then you are familiar with the personalisation options, you can create anything which is its most significant advantage and also disadvantage. Too much creative freedom could lead you away from web design best practices, and you could end up with a site that doesn’t look great, but on the other hand, if you know what you are doing Woocommerce gives you more freedom to do anything you want. You would find tons of people with dedicated youtube channels offering you help, but their built-in support isn’t as good as the competitors. You can also find great Udemy courses that would give you a deep understanding of this platform. The WooCommerce blog is a great source of e-commerce tips and tricks. Woocommerce comes with some built-in sales tools like a Facebook extension and great stock control features. But overall the built-in functions aren’t as comprehensive as most other platforms. Again, Woocommerce focuses on the ability to do almost anything through 3rd party apps. WooCommerce offers hundreds of free and paid extension on the WooCommerce Marketplace. Including Paypal, Klarna, Amazon Pay and many more. Squarespace is a great platform focussing more on the design aspect but sacrifices an app store, limited payment options and a bit of a second class e-commerce platform. Squarespace is a little cheaper with a bit more flexible payment options. 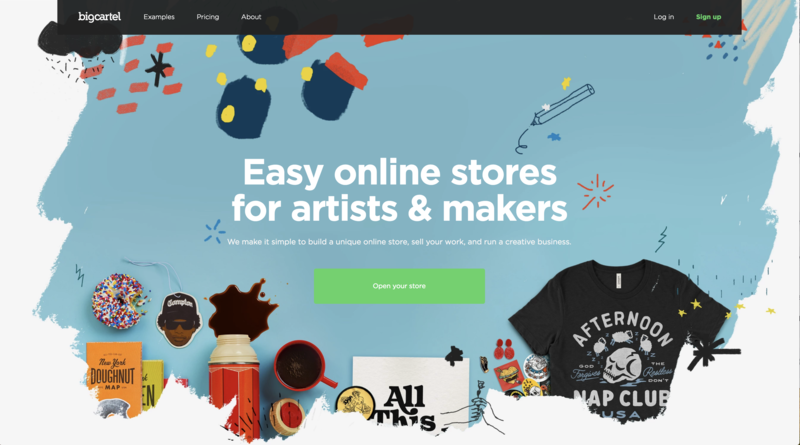 If you are an artist that have a few products, then it might be a good option, but if you are looking for the best e-commerce platform, then you have to look further. Wix is another excellent platform with yet again a few minor shortcomings. 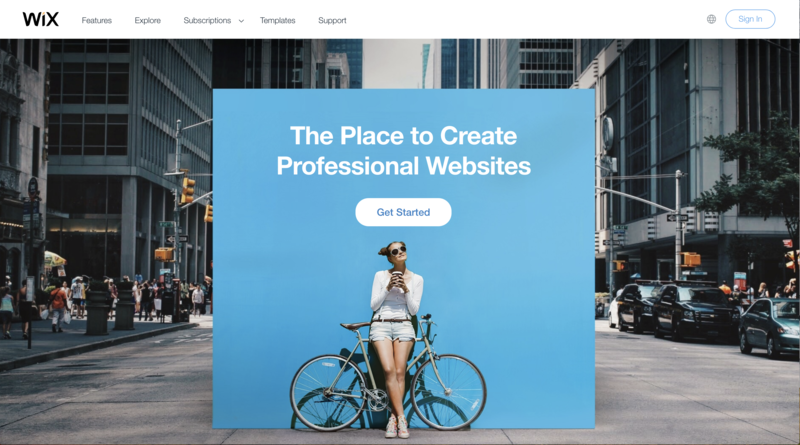 WIX has a smooth drag and drops design platform with some great templates. When customising WIX prompts you how your design impacts your storefront and WIX also comes with some beautiful storefront galleries. The major disadvantage is the lack of advanced tools like cart recovery and no social media integration to name a few. Wix has one of the most user-friendly interfaces out there and also very affordable pricing structure. But if you are looking for advanced tools to drive sales, then you might be better off with a more comprehensive platform. Big Cartel is “built for makers” , this is the first thing you see on their homepage. They aren’t trying to be the next Shopify, but they are positioning themselves in the market as the go-to platform for creators to sell on. The user interface isn’t on par with most other platforms, and there is some Facebook integration but no App store. They do provide an API which would allow you to build your integrations. But if you are a hobbyist or an artist with only a few products they might serve you well. BigCommerce is also a very popular platform with lots of great features. It offers multi-channel selling, great SEO tools and the most built-in features than any other platform on the market. You can choose from 7 themes and purchase over 50. The designs aren’t as striking as Shopify, WIX or Squarespace but they could do the trick. The biggest downside is the interface which is not suited for beginners. Shopware is a feature-rich e-commerce platform that needs to be installed on your hosting which makes the initial startup a little bit harder than the rest. Shopware does, however, have a helpful online Academy to teach you everything to become a Shopware expert. There is a free option that has limited functionality, and if you decide to go with one of the other paid options you will be surprised to see that it’s not a subscription-based model. 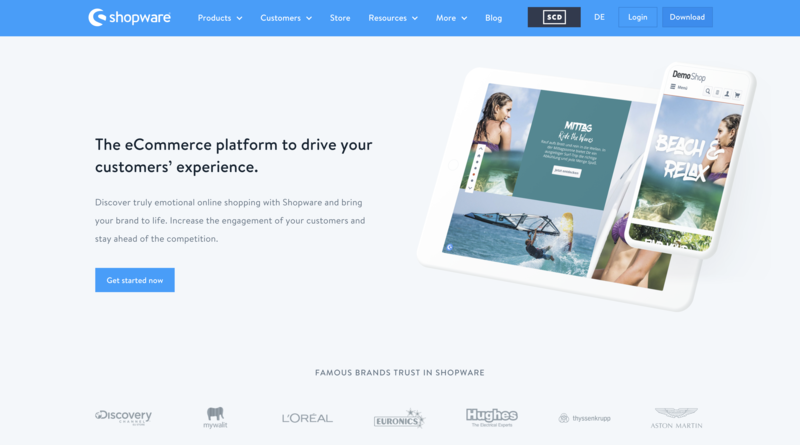 Shopware offers great functionality that is trusted by huge brands like Loreal, Aston Martin and Discovery channel EU Store but is not recommended for beginners with limited knowledge and budget. There you have it. These are some of the worlds most popular website design platforms. To make the right decision your business goals should be clear from the start to make the right decisions. 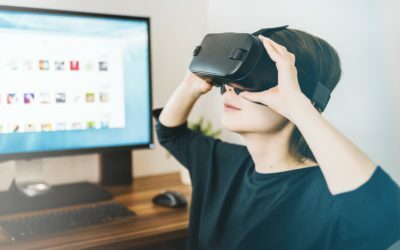 How VR and AR will shape the retail future. Understanding basic studio lighting for your DIY home studio. 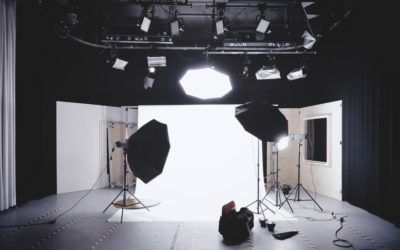 Lighting is the most important part of your studio setup, and one could argue that you are worst off having the best camera in poor lighting conditions than having a mediocre camera with excellent lighting setup. 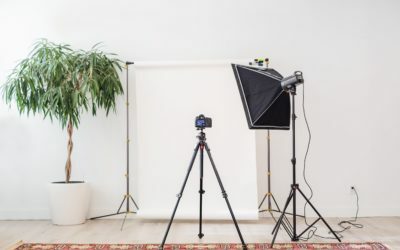 How to create a small DIY photo studio on a budget. If you have small or medium sized products you want to photograph to put online, then there is no need to hire an expensive studio.